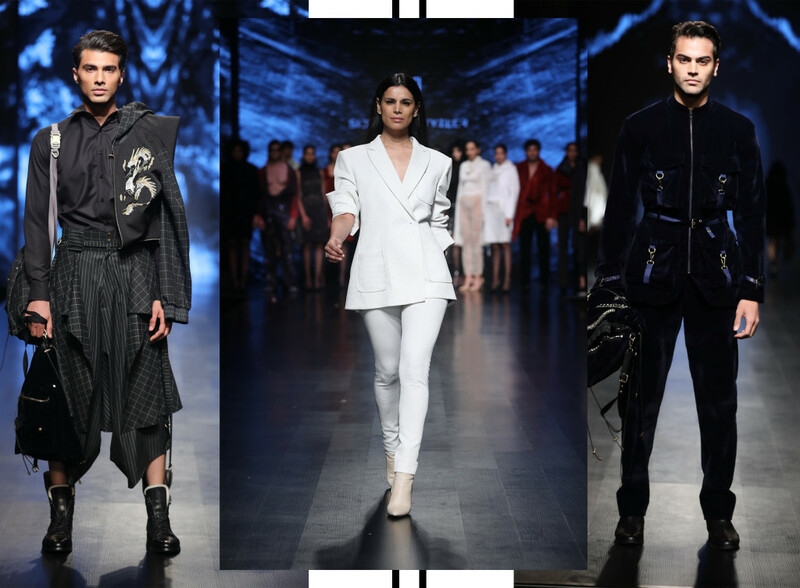 Fashion straddles both ideologies-form fitted and anti fit as marathon runner Namrata Joshipura brings back the body con, glowing gown and Siddhartha Tytler adds sequins to a man’s boring, black trouser. Denim has seen an unpretentious resurgence this autumn as Diksha Khanna, shredded it and made wrap skirt-trousers and sari-pants complete with a distressed pallu, while Vineet Bahl kept it as smooth as silk and nattily embroidered it. When Rei Kawakubo (Comme des Garcons) decided to subsume imperfection in the 90s she didn’t visualise the impact it would have 50 years down the line. This need for irregularity has also seeped into the construction of the garment, and affected its geometry. 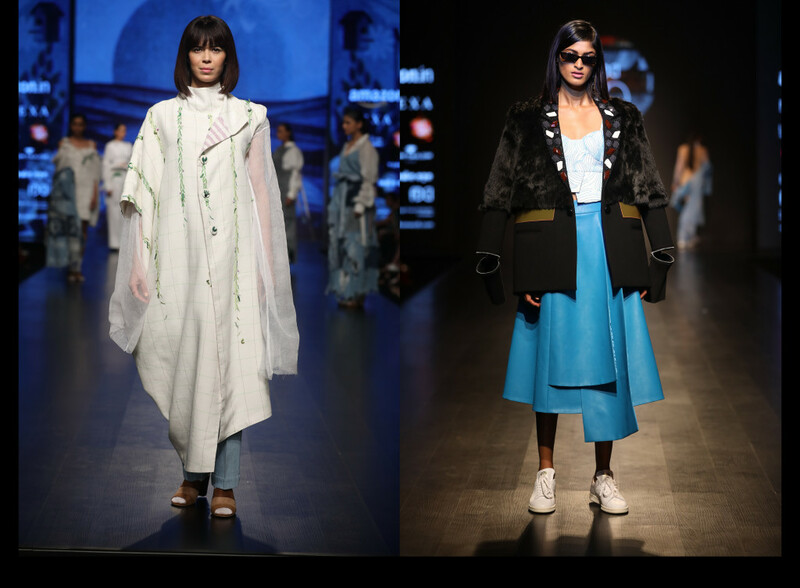 So Kanika Goyal “mislaid” the pleats on the dress and Diksha channelled her inner love for sustainability and wabi sabi by keeping everything tranquil, with easy tie ups and transparent extra long sleeves and cocoon jackets. Glitches are now cool, so much so that gap tooth, vitiligo and scars are emerging on the once holy grail— magazines that were the alleged promoters of skinny and chic. 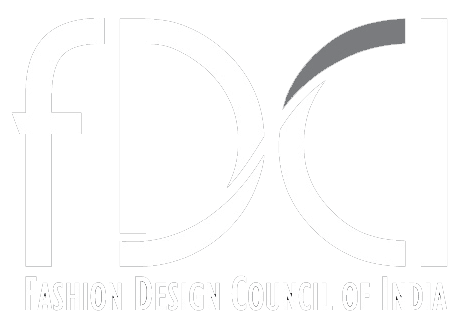 Fashion, has entered an era of “manipulation” both physical and metaphysical, so you have ruffles, zippers, pockets at unpredictable corners of an ensemble. Ilk designers Shikha and Vinita used fabric as a way to ornament rather than threadwork, creating pom poms out of yarn. 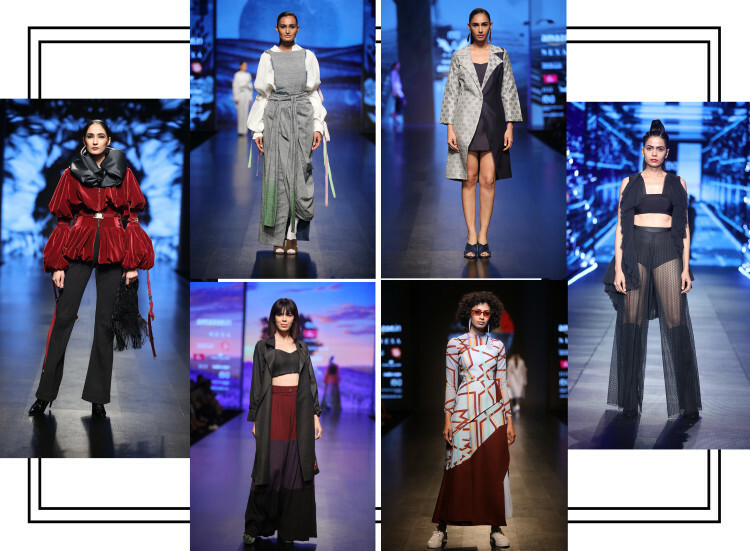 It is also a season of pleats and layering and if it is done in a contrast, it just magnifies the effect and that’s what happened when the girl from Nagpur, Shruti Sancheti showed her autumn-winter 2018 line. The dress now is not a lone entity it is teamed up with a pant or preferably a skirt, like Shruti showed us along with baby pink fringed coats, dhoti-esque drapes, tiered sleeves and high belts. Though the trio who has stuck to their aesthetic is Gautam, Shibani and Rahul with shimmering bodices and lace shararas, they declared that occasion wear doesn’t need to court reds and pinks it is now the time to keep it under the radar—so champagne, gold and cobalt blue, kept the night glittery, but not crazy. When we mention the wide legged pant, we can’t forget Namrata Joshipura’s sharara inspired jumpsuits which inveigled us with their crystal maze, along with ‘lit up’ swimsuits and hot pink sequinned pants that sometimes crossed the border to make it double shaded. And just when you thought fashion was all about anti-fit, loose, relaxed and easy, Namrata gives us the nipped waist and body con dresses, fully shining with tone-on-tone crystallisation. Matrix style shades, red mouths and high ponytails along with form enhancing sheaths was her way of celebrating autumn by giving it wings, just like the two she has tattooed on her ankles. And when there are sequins, it is no longer just a preserve for women, Siddhartha Tytler gave his men such pants (along with matchy-matchy rucksacks), proclaiming, why should girls have all the fun? Feathers too have graduated from native American headdresses to sleek stilettos, sleeves, pants and bags. And when you have the beautiful woman who leaves her home and hearth to find love in Trumpland, Neha Kapur dressed in an all white pant suit a la Laurent, you can’t really go wrong, can you?